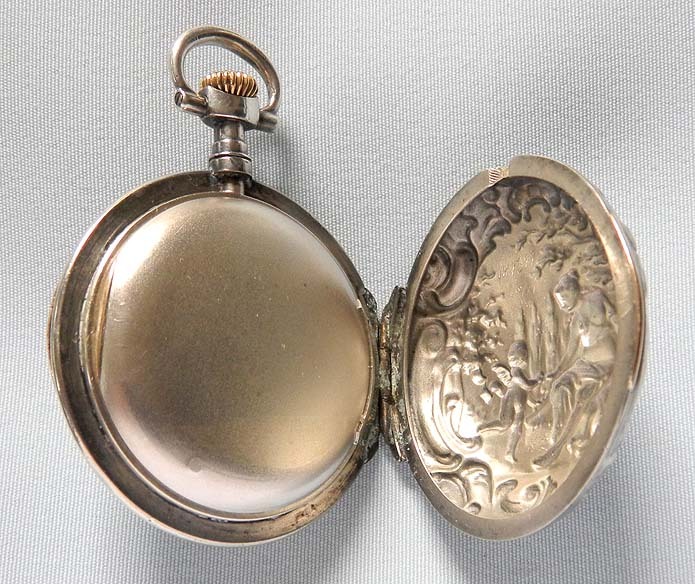 Fine Patek Philippe 1800 style midsize silver repousse antique watch circa 1894. 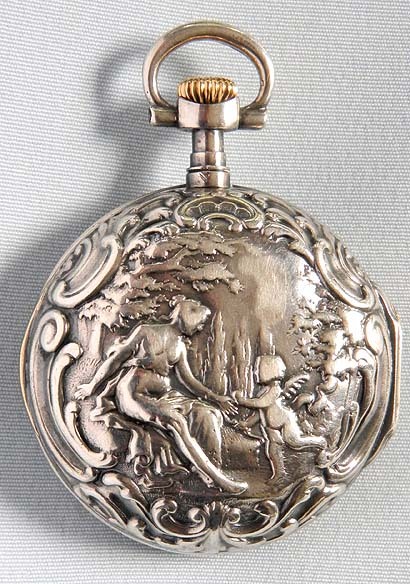 The back (even overall wear) with a scene of a draped woman and cupid in a landscape within a scrolling floral border. 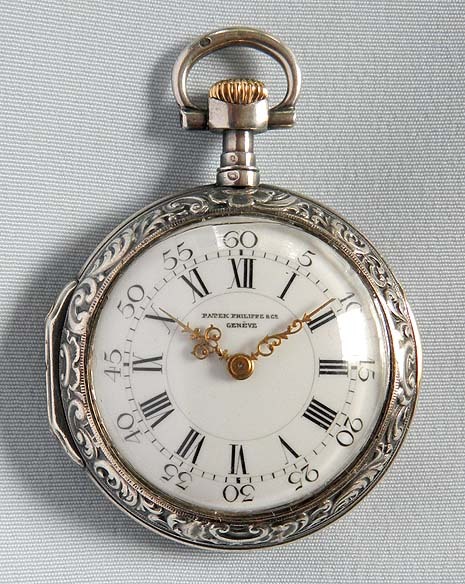 White enamel dial (slight hairline under bezel) with bold black markings and fancy gold hands. 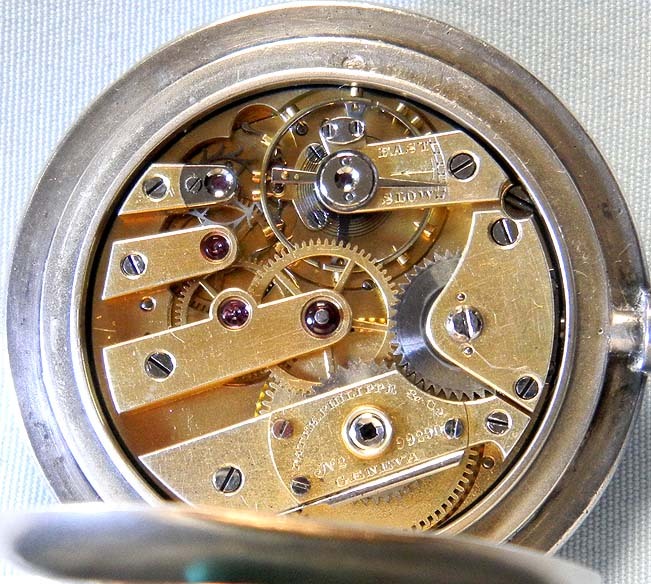 Fine gilt 18 jewel movement with wolf tooth winding.